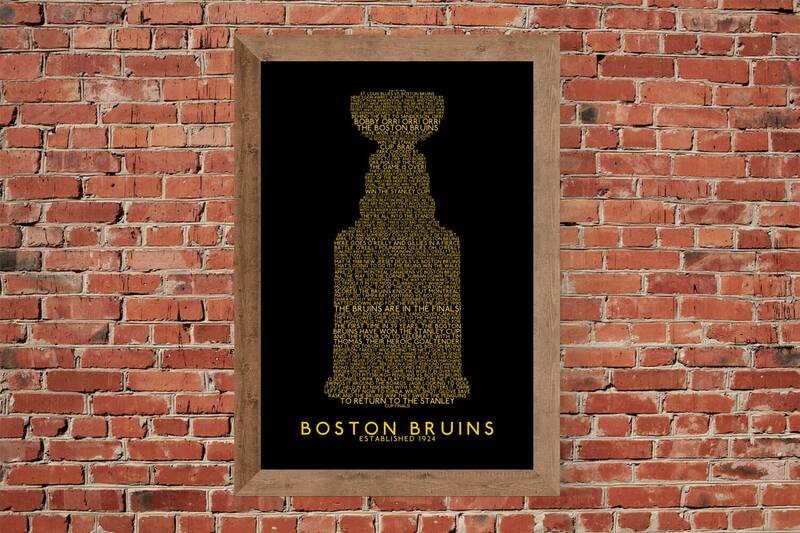 If you are a native of Boston and love the amazing hockey history this city has to offer, then this print is for you! 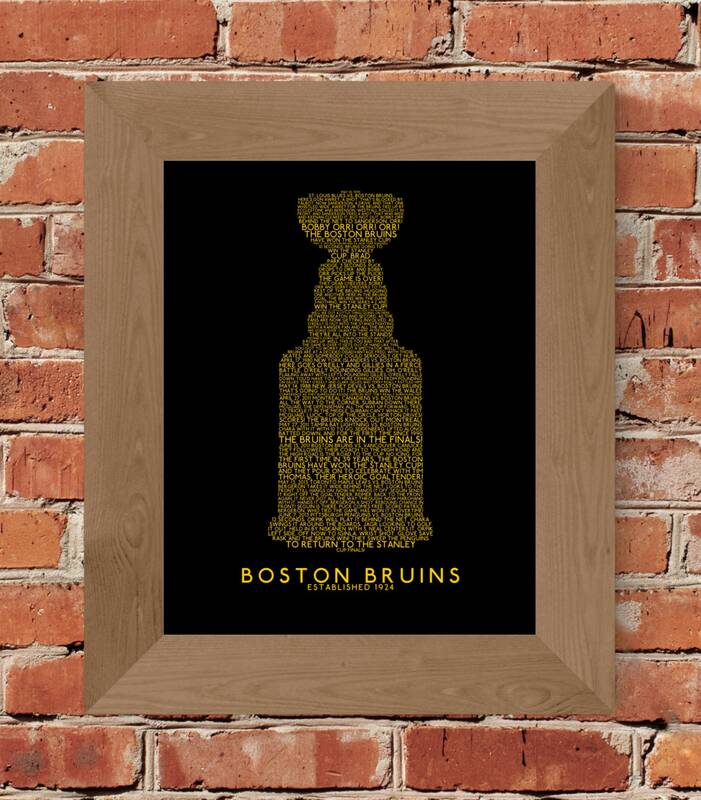 This print has got a word for word run down of actual radio/TV calls from some of the greatest moments in Bruins history. Orr's famous Stanley Cup OT winner, the countdown to the 2011 Stanley Cup, one of the famous Terry O'Reilly/Clark Gillies showdowns, and more. 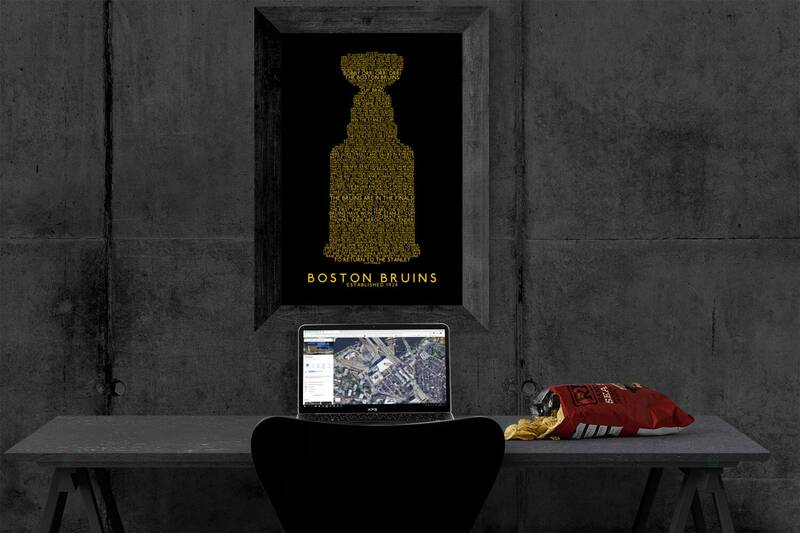 It's a perfect man cave addition for any Boston hockey fan! 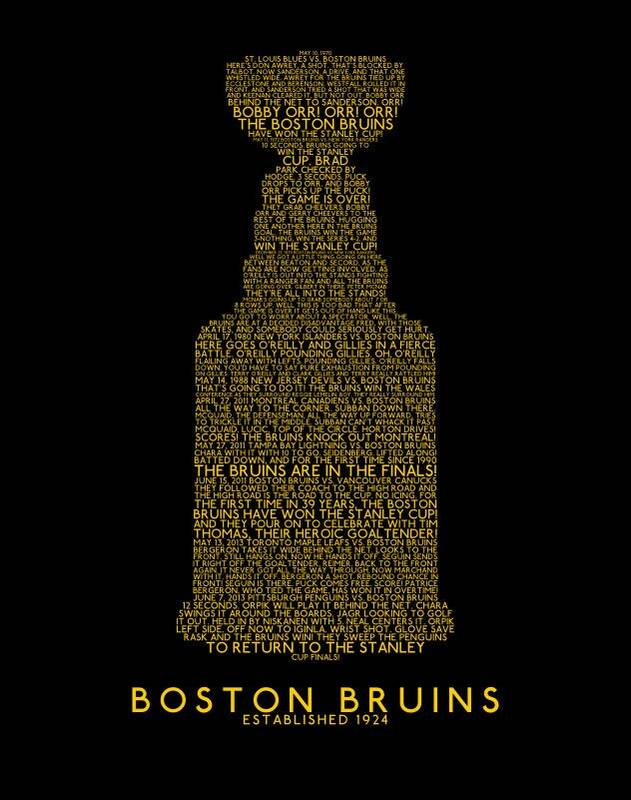 So many amazing moments get a nod in this great black and yellow print of the Stanley Cup made out of the words from Boston's greatest hockey calls!